An endangered bat species with a UK population of less than 1,000 could be further threatened by the effects of global warming, according to a new study led by the University of Southampton. Scientists warn that, while conditions in the UK could actually become more favourable for the grey long-eared bat (Plecotus austriacus), populations in southern Europe that hold the key for the survival of the species as a whole could be devastated. Working with its partners, the University has developed a new framework to identify wildlife populations threatened by climate change. 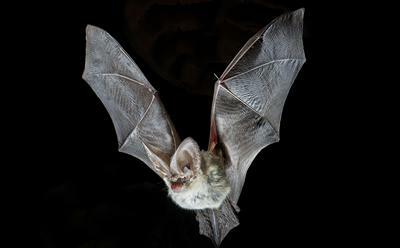 The study outlining the framework, published in the journal Molecular Ecology Resources, focuses on the grey long-eared bat and shows that its populations in Spain and Portugal are particularly at risk as conditions there become too harsh. This is of great concern to ecologists because the populations in these areas include pockets with the highest levels of genetic diversity, thanks to their ancestors having survived major climate change events such as ice ages. This makes them better suited to the hotter, drier conditions associated with climate change. However, other populations in the region that lack such genetic diversity and are unable to adapt to the harsher conditions could become isolated if they cannot fly to more climatically suitable areas because the landscape in between is unsuitable. This could also stop the bats from better-adapted populations – whose genes could help the threatened bat populations survive – from reaching them. Lead author Dr Orly Razgour, of the University of Southampton, explained: “Long-lived, slow-reproducing species with smaller population sizes are not likely to be able to adapt to future climate change fast enough through the spread of new mutations arising in the population. “Instead they will depend on the spread of adaptive genetic variation between populations through the movement of individuals. “As climate change progresses and the environment becomes less suitable for the bats, they will not only struggle to survive where they are currently found but they will also find it more difficult to shift their range to climatically suitable areas. The framework developed by Dr Razgour and her colleagues at partner institutions uses three measures to identify wildlife populations at risk from climate change. 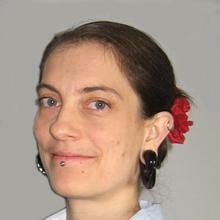 It uses ecological modelling and climate data to looking at where climate change is likely to be most extreme; gathers genomic data to assess which species are likely to be most sensitive to the effects of future climate change (in the case of the bats, wing biopsy samples were collected from eight populations in the Iberian Peninsula and two populations in England); and considers range shift potential – i.e. the ability of a species to move from an unsuitable to a suitable area. Using these three measures, levels of risk are generated for each population – low risk, medium, medium-high and high risk. Dr Razgour said: “The framework we have developed can be used to identify the wildlife populations that are most under threat, and therefore help decide how to focus conservation efforts to help the species survive under future climate change. “In the case of the bats, this may require people moving them to a more climatically suitable area. Dr Razgour was funded to conduct the study as part of a Natural Environment Research Council (NERC) Independent Research Fellowship. Dr Orly Razgour joined Biological Sciences in May 2016 as a NERC Independent Research Fellow and proleptic Lecturer in Ecology.